What drives you nuts, and why? A current social media discussion takes on two of my least favorite American usages: transition as a verb, and issues as a substitute for problems. One is verbal inflation, the other euphemism. Users of transition intend something more grandiose than change, and people who use issues generally want to avoid offending people who have problems. To these I'd add channeling one's inner anything and "----ing the world, one ---- at a time." I think, too, we have reached the expiration date on commentators and reporters who refer to the Supreme Court justices as "the Supremes" and think they're being delightfully irreverent. What usages, words, expressions, and quirks of linguistic fashion drive you nuts, and why? "When lust and private interest gain the upper hand of disorganized society, the most religious of crusades must lose its sacred character, but the Thirty Years War lost what little spiritual meaning it had for other causes. `The great spiritual contest,' says Ranke, `had completed its operation on the minds of men.' The reason was not far to seek. While increasing preoccupation with natural science had opened up a new philosophy to the educated world, the tragic results of applied religion had discredited the Churches as the directors of the State. It was not that faith had grown less among the masses; even among the educated and speculative it still maintained a rigid hold, bit it had grown more personal, had become essentially a matter between the individual and the creator." I want to start a Pete Postlethwaite fan club. I had not heard of the late British actor before I watched The Usual Suspects for the first time this week, but amid Kevin Spacey's award mugging and Benicio Del Toro's lisping and mumbling, Postlethwaite, as Kobayashi, stood out for doing what Laurence Olivier is said to have advised Dustin Hoffman to do. He acted, dear boy. Not that Spacey's and Del Toro's performances were bad; those guys are too talented for that. But mugging by a good actor is still mugging. Maybe he and Del Toro felt they had to stand out from a cast that included Giancarlo Esposito, Paul Bartel, Chazz Palminteri, and Gabriel Byrne, doing no better or no worse a job than he always does playing Gabriel Byrne. Back to Postlethwaite. His performance was the best I've seen by a supporting actor in some time, up there with Paddy Considine's and Aidan Gillen's in Blitz, even worthy of mention in the same breath as Takashi Shimura's work in numerous films for Akira Kurosawa. I watched Donnie Brasco for the first time this week, and I liked the bits of comic misunderstanding sprinkled throughout the dialogue ("What's fugazi?") I also realized that that sort of thing is more enjoyable on the page, where one can savor it. 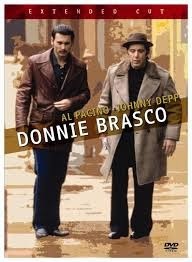 So if you like Donnie Brasco, you'll love Charlie Stella and Dana King. 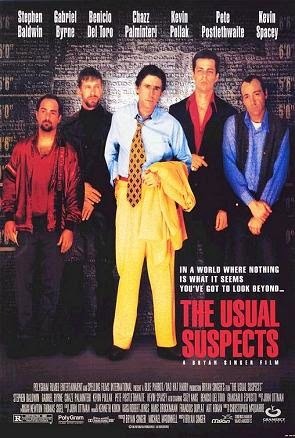 Now I'm watching The Usual Suspects. On the one hand, its narrative is convoluted, so it must be a writer or director's movie. On the other, its stars feign speech impediments (Benicio del Toro), bad accents (Gabriel Byrne), and visible physical and, occasionally, verbal and mental handicaps (Kevin Spacey). That makes it an actor's movie. OK, those of you who have seen it, which is more overdone: This movie's direction, or its acting? Goodnight for now, and I'll get back to you once I've seen Gone With the Wind. "In Prague the King and Queen sat at dinner with the two English ambassadors. Both were in good spirits and Frederick asserted confidently that there would no fighting; the enemy were too weak and would soon draw off. He had been told so, and he was in the habit of believing what he was told." "Christian invested his commonplace political views with an aura of romance by declaring himself passionately, although chivalrously, in love with the beautiful queen of Bohemia." "Frederick, without armies or possessions, almost without servants, retired to his uncle the Duke of Bouillon at Sedan, there in the intervals of bathing and tennis to search for new allies." "(H)is life of hard exercise interspersed with hard drinking had left him only the heartier. Monogamy had never suited his exuberant nature, and the number of his bastards grew in time to be a Danish problem and a European joke. 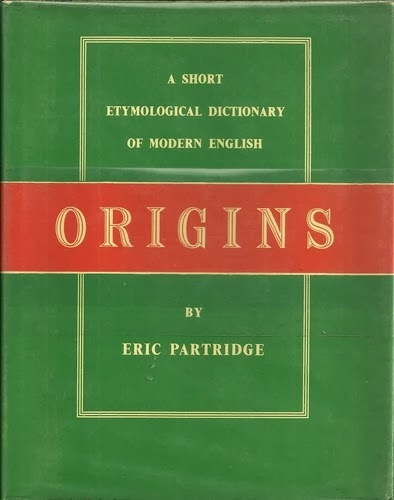 In spite of his energetic tastes, he was an intellectual man and made use of his gifts; he had even conducted a learned correspondence in Latin with that prince of pedants, James I of Great Britain." That last excerpt describes Christian IV of Denmark, who I suspect will now shoot up a few places on many people's lists of favorite seventeenth-century European kings. Until Saturday evening, I knew little about the Thirty Years' War beyond the picturesque name of an incident that precipitated it (above). But the war, it turns out, was about much more than three Catholic Habsburg envoys thrown from a window by angry Bohemian Protestants, surviving unhurt only because a dung pile cushioned their fall. In the first hundred or so pages of C.V. Wedgwood's Thirty Years War (that punctuation in the title is per Wedgwood, or at least per the NYRB Classics edition of the book. In addition to pitting Habsburg and Bourbon, Catholic and Protestant, Lutheran and Calvinist, and France and Spain, a little-known dispute that survives to this day pits supporters of the possessive apostrophe in the war's name against those who prefer to go without), I have learned much about why Germany was such a mess and about how Lutheranism forged ahead. Wedgwood was a brilliant writer and historian of the good, old-fashioned kind, and for this post I'll highlight some of the larger points she makes. The first is her acknowledgement in an introduction written eighteen years after the book first appeared that "History reflects the period in which it was written as much as any other branch of literature." In her case, that period was the 1930s, marked by economic depression and rising international tensions. "knowledge, sometimes intimate, sometimes more distant, of conditions in depressed and derelict areas, of the sufferings of the unwanted and uprooted—the two million unemployed at home, the Jewish and liberal fugitives from Germany. Preoccupation with contemporary distress made the plight of the hungry and homeless, the discouraged and the desolate in the Thirty Years War exceptionally vivid to me." "The faulty transmission of news excluded public opinion from any dominant part in politics. ... The great majority of the people remained powerless, ignorant, and indifferent. The public acts and private character of individual statesmen thus assumed disproportionate significance, and dynastic ambitions governed the diplomatic relations of Europe." I suspect that these days casual thinkers about history will regard political history and social history as opposites, the "Great Men" theory and "people's" history as irreconcilable. 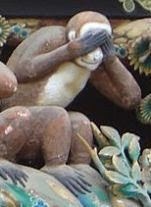 Not Wedgwood. 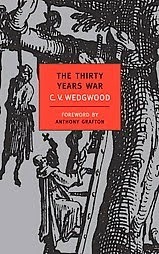 But here's the most remarkable thing about The Thirty Years War: Wedgwood was not yet thirty years old when she wrote the book. Now, I'll see you later. I have some reading to do. 1) The novel is thoroughly noir long before it portrays any violence or criminal acts. This may remind some readers of David Goodis. 2) Its protagonist, Duca Lamberti, is a doctor who has been struck from the register for an act of euthanasia. That sounds like Goodis' ex-singer or piano player protagonists, but unlike them, Lamberti has not hit the skids. He has a sister, a niece, a powerful friend on Milan's police force, and a place to live. Noir is not synonymous with squalor. It's a state of mind, not an economic category. 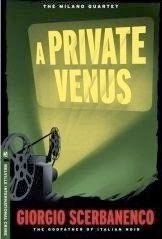 Giorgio Scerbanenco's 1966 novel A Private Venus is just as good between American covers as it is between British ones, and the best news on the Melville House edition may be the three words above the title: "The Milan Quartet." A Private Venus was the first of Scerbanenco's Duca Lamerti novels. Melville House will publish Traitors to All later this year, with the books known in Italian as I ragazzi del massacro ("The Boys of the Massacre") and I milanesi ammazzano al sabato ("The Milanese Kill on Saturday") to follow. "I can't quite figure out whom Giorgio Scerbanenco reminds me of most. He can be as dark as Leonardo Sciascia, as deadpan realistic as Maj Sjöwall and Per Wahlöö, as probing in his observation of people as Simenon, as humane as Camilleri, as noir as Manchette, as hope-against-hopeful as David Goodis, but with a dark, dark humor all his own." Among its other high points, the book is rendered into English by Howard Curtis, one of the finest translators of crime fiction. She was "a risk taker given to impulsive behavior and bad decisions — traits that were passed on to her son — took up with James, despite his “indigent circumstances” and the fact that she was still legally married to Lavien." 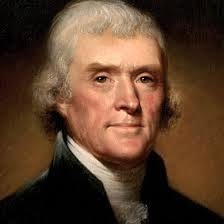 He was Thomas Jefferson, she Rachel Faucette, mother of Alexander Hamilton, and the quotations are taken from John Ferling, Jefferson and Hamilton: The Rivalry That Forged a Nation. 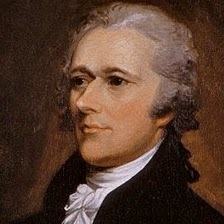 Even before Hamilton died, paralyzed and suffering following his duel with Aaron Burr, the lives of the Founding Fathers were ripe with hard-boiled material. And now, dear readers, it's your turn. 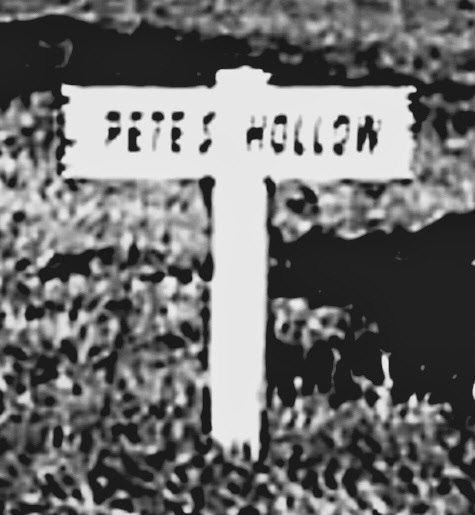 What characters, circumstances, or events from history would make good hard-boiled or crime stories? "Strukul shows his love for revenge comics without degenerating into cartoonishness. He exposes a side of northeastern Italian life unknown to outsiders and perhaps many insiders." "He had deprived Veneto not only of its factories, closing one after another, nearly two hundred every year, but also of its tradition of craftsmanship: the old tailoring schools were starting to disappear, even those that represented the region's oldest heritage." "All of that while sucking the blood of north-east Italy: jeans for fashionable people, five Euro rather than twenty-five; shirts for twenty rather than forty." Now, make no mistake: Strukul is no Stieg Larsson, dishing out improving lectures about the rich world's evil ways. 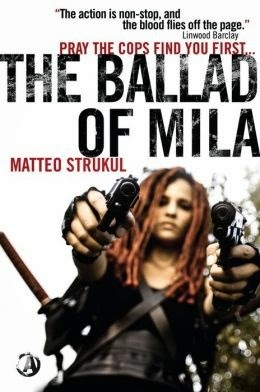 The Ballad of Mila is full of comic-book trappings: over-the-top violence; deadly martial arts; Japanese swords; a lethal, beautiful, revenge-seeking babe; and showdowns between rival gangs. But the observations about globalization anchor the story in reality. And this lends the tale both a moral heft and a menacing edge. The Ballad of Mila is a story Quentin Tarantino might tell if he ever makes an adventure movie for adults. Strukul is also a publisher and an impresario in the world of Italian pulp and comics who has brought the work of notable Scottish, Irish, American, French, and English authors to the attention of Italian readers. Read Matteo Strukul's interview with Detectives Beyond Borders. Dashiell Hammett may have had no formal education beyond his early teens, but he read much, and he wielded his learning with grace and proper English grammar. "Now how about what I was to get for showing you where you could turn up the dope on his killing Tim Noonan?" 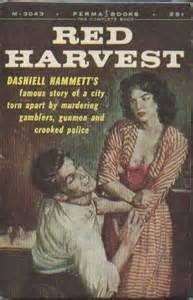 The man knew his fused participles, and that's one more reason Hammett was not just the greatest crime writer ever, but also a copy editor's friend. Which books do you keep going back to, and why? My re-reading of The Maltese Falcon this week sparked a Facebook post that enlarged my TBR list and may have introduced a reader to the delights of Bill James. I asked readers which books they had read the greatest number of times, and why they keep reading it. Now I'll ask you: Which books have you read most often? And why? "as he had heard it from Gutman, from Charles V's grant to the Hospitallers up to--but no further than--the enameled birds's arrival in Paris at the time of the Carlist influx." How many crime writers today would feel confident enough to use influx in a novel, much less of the Carlist variety? Thing is, Hammett provides the context that works the reference smoothly into the story, illuminating the falcon's origins for even the reader unfamiliar with Spanish imperial history. He was not, in other words, afraid to show bit of learning. 1) Dead, dear, death, debased, and debauched are close enough (about a quarter of a column apart) to suggest any number of hard-boiled story possibilities. Noir, even. 2) Kill is probably related to quell, which, in turn, is akin to German quälen, to grievously torment. 3) Mystery is akin to Greek mustēs, literally close-mouthed. 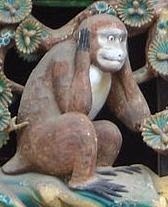 "The transliteration of Greek words, in particular, has been more exact than in several dictionaries one might, but does not, name." "f**k, v hence n, is a standard English word classed because of its associations as a vulgarism." 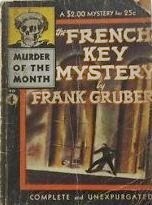 Frank Gruber (1904-1969) has to have been one of the most thoroughly professional of all pulp writers. The French Key Mystery hits hard without wallowing in shadows or violence. Its characters are entertaining without being clowns. A gritty undercurrent runs through the book without, however, degenerating into preachy social realism. In short, Gruber knew how tell a story. At least as fascinating, however, is the supplementary matter in my edition of the novel, another fine purchase last week from the Bucks County Bookshop in Doylestown, Pa. And I don't mean just the cover's calling the book "A $2.00 Mystery for 25¢." There are the exhortations to "brighten the lives of those who are giving their all" by sending them books and to buy U.S. war stamps and savings bonds because "It will cost money to defeat Germany, Italy and Japan." "MURDER OF THE MONTH titles are printed on good paper with bold, clear type and strongly bound with a decorative cover in full color, finished off with a hard, glossy surface. A further innovation are the unusual illustrations throughout each volume by world-famous artists, to add to your enjoyment whilst reading the story." They just don't write promotional copy like that anymore. Just try finding all this in a chain bookstore or on an e-reader. 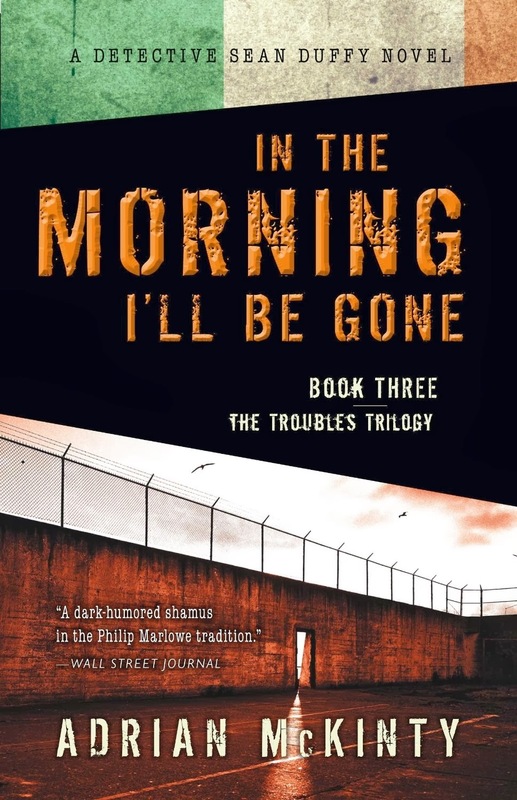 In the Morning I'll Be Gone is a fine name for the final novel in a series — if indeed this third of Adrian McKinty's "Troubles" novels is to be the last appearance of Sean Duffy. The book is out in North America and in audio form this week, and it's well worth your time, as are its predecessors, The Cold Cold Ground and I Hear the Sirens in the Street. I like the series' very human, non-dogmatic, non-polemical view of an everyday cop's life in Northern Ireland in the early '80s. The sense of what it might have been like to live in those times is vivid but, more than that, convincing. This goes especially for the books' homely details and the off-hand observations by Duffy, a Catholic member of the mostly Protestant Royal Ulster Constabulary. Among other things, McKinty, a longtime friend of Detectives Beyond Borders, would make a hell of a tour guide to Belfast and McKinty's own home town of Carrickfergus. Like the first two novels, In the Morning I'll Be Gone abounds in good jokes and in popular-music references a good deal better than most such references in crime fiction. Unlike Books One and Two, In the Morning ... reminds me in a small way of Dashiell Hammett's story "Fly Paper." It's no wandering daughter job but, like Hammett's story, McKinty's novel embraces a hoary murder-mystery motif and works it with great success into a story that is far from a traditional mystery. Today's edition of a weekly community newspaper I receive offered an article about South Philadelphia's South of South [Street] neighborhood. If New York's SoHo is so called because it is South of Houston Street, what does that make South of South? Think that tag will help sell houses? But then, Philadelphia is the city whose public transit agency sounds as if it means putrefaction or sewage. "What is crime, anyway?" Palmqvist said as we shared a pizza. "1. Crime, adopted from OF-F, derives from L crimen, *that which serves to sift (hence, to decide), decision, esp a legal one, hence an accusation, finally the object of the accusation—the misdeed itself, the crime: for *cernīmen (cf regimen from regere, s reg-), from cernere, to sift: f.a.e. CERTAIN, para 1." We'd planned the heist for months, timing cash deliveries and pickups, noting the employees' habits: who showed up on time, who made sure everything was locked and sealed, who didn't give a crap because the bank was likely to be sold to a whole new, bigger bank, with a whole new set of customer-service slogans and a whole new set of fees by the time she got back from lunch. We knew things could change, but we never imagined that Your Local Bank would be sold off and converted to a pizzeria before we could stick it up. So Palmqvist and I had reason to be pensive. "derives from MF roberie, robber from MF robeor, both F words coming from OF-ME rober, to rob, whence, ME robben, E `to rob'; OF rober comes from OF robe, booty, whence, in MF-F—from booty in the form of robes—a gown, a robe, adopted by ME: and OF-F robe comes from W Gmc *rauba, booty: cf OHG roub, MHG roup, G Raub, spoil, robbery, and OHG roubōn, MHG rouben, G rauben, Go bi-raubōn, to which are prob akin the Go raupjan, to pluck, and OHG roufēn, MHG roufen, G raufen, to pluck, to fight, and perh akin, the ON riūfa, L rumpere (nasalized *rup-), to break." "I know what you mean," she said, sighing. "I'm bedraggled. See draggle at DRAW."